You are here: HomenextTopicsnextEducationnextWalking To School. I went to Rosemary School between 1958 and 1962 and remember quite a bit of detail of my walk to there from Burns Street. I would leave the house at 8-30am go up the street past Fair Brothers factory turn left onto Byron Street sometimes getting a packet of Beech Nut chewing gum from the machine fixed to the wall outside Mrs.Rowlands corner shop. There was an arrow on the handle that you turned after you’d put your penny in the slot and if it was pointing towards you, you got a free pack as well as the one you’d paid for, but that wasn’t very often. Down Byron Street and turn right onto Rosemary Street, opposite Byron Street was Marsdens grocers and the Co-op butchers. A bit further along Rosemary Street on the left was a sweet shop belonging to Mr.Rose then Harry Bulls butchers, with a name like Bull it seemed funny to me the sign on the front said Pork Butchers, then Espleys newsagents which changed ownership to a Mr.and Mrs.Dawes around that time, I did a paper round for them from 1960 to leaving school in 1962. Across the road from the newsagents was Mr Checkleys cobblers shop, if I remember rightly he was also a bus conductor for East Midland Bus Co.
A little further was Hudson Street on the right and St.Johns Street on the left on the corner of St.Johns Street there was an electrical goods shop televisions etc. I can’t remember what it was called but my parents bought our first T.V. from there in the 1950s a Ferguson with a 12inch screen, when we first had it there was only one channel BBC, at that time commercial television hadn’t come on the scene. Crossing Hudson Street you came to St.Johns Place there was a stone wall on the corner that bordered the rear gardens of some very old cottages that were on Hudson Street a bit of old Mansfield but there not there any more, in this stone wall was a post box with VR on it, put there in the 19th centuary, and opposite on the other corner to the electrical shop at top of St.Johns Street was the home and surgery of Mr.Bagnall the dentist. A bit further along Rosemary Street in the house before the chemists lived Mr Ellis the caretaker at Rosemary school. the chemists was owned by a Mr Dennis and next to the chemist was and I think still is Slacks an outdoor pursuits equipment retailer which was on the corner of Union Street. Opposite was Layton Avenue, on one corner was Dr.Lauders surgery and on the other corner an office, Britannic Assurance I think. The pavement on the right widened shortly after Layton Avenue and just before it widened was Mr.Todds dentist surgery. The next shop was a beer wine and spirits retailer which was also a grocers,I think that was owned by someone named Burton and next to that Mr.Kiddys carpet shop, and a newsagents on the corner of Goldsmith Street. Opposite the carpet shop was a very special shop a veritable Aladins Cave, Mr.Cowpes bike shop, if you needed a part for a bike Mr.Cowpe would have it, some of the stock must have been in there for twenty or thirty years, I had my first proper bike from him a Dawes Dalesman, I must have done thousands of miles on it (I’m still a keen cyclist), I still remember the serial number CS1202K. Mr.Cowpe was also the organist at the Methodist Chapel on the corner of Byron Street. A little further along on the right in the row of shops approaching Chaucer Street was a bakers and as well as ordinary loaves they baked what they called penny loaves these were exactly like a full size loaf they even had Hovis on them, all the kids used to buy them very tastey, with them being small there was as much crust as bread. The couple that had this shop I think were man and wife very nice people, both of them very deaf which also effected their speech. Across from Chaucer Street was Walkden Street on the corner was a cobblers the name on the front was Ward but the man who worked in it was named Mace, he was the father of a school friend of mine, I don’t know if the shop was his and he hadn’t bothered changing the name or he might have just worked for Mr.Mace. The last street before school was Chaucer Street, the first shop in the row between there and school was Barry Jepson Joinery on the corner I think they are still going on Hermitage Lane in bigger premises. There might have been a ladies hairdresser next, then Nutthall and Thompson electricians, Alf Nutthalls barbers and the last one was Blythes butchers. Across from school was an alleyway called Quaker Lane there was a sweet shop on the corner and a bit further down was Ruth Street with a shop on the corner this I think was owned by a Mr.Twells. The teachers at Rosemary School who had cars parked them on Ruth Street It was a cul de sac. This street disapeared and so did the Baptist church which was on the opposite corner to the shop to make way for the bus station when the Four Seasons Centre was built…..Thats progress for you! If theres anyone out there who’s family name I’ve spelled wrong I apologise, names that sound the same as you know, arn’t always spelled the same. Hi my grandfather had a bakery on Rosemary Street in roughly the 1950s it was called Brewsters Bakers…. I was wondering if anyone can remember this or have any old photos available? If anyone is interested Mansfield Museum has a photo taken from Rosemary St. looking down Walkden St. It clearly shows the shoe repairers A.Ward on the corner.This photo was taken in the late sixties I believe. Hello Keith, it was definitely Mr. Checkleys cobblers shop it was between Hudson St. and Byron St. I knew his son Brian quite well we were paper boys at the same time at Dawes newsagents. As for Askews Dairy that was on the corner of Burns St. and Ladybrook Lane I remember it very well from my childhood in the 1950s after Askews left I (believe they went to live at Brasington) the Co-op funeral service bought the dairy and used it to garage their funeral vehicles, the manager was a Mr.Bell his son Brian was a friend of mine. On the other corner of Burns St. and Ladybrook Lane was Savages butchers shop. Hello Steff I remember your dad very well serving in the shop my parents used to get their Christmas drinks from Webbers in the 1950s. I think the furniture shop next to you belonged to a Mr.Kiddey I’m sure Hardys was opposite the Empire cinema, and the newsagents a bit further down belonged to someone named Broomhead. 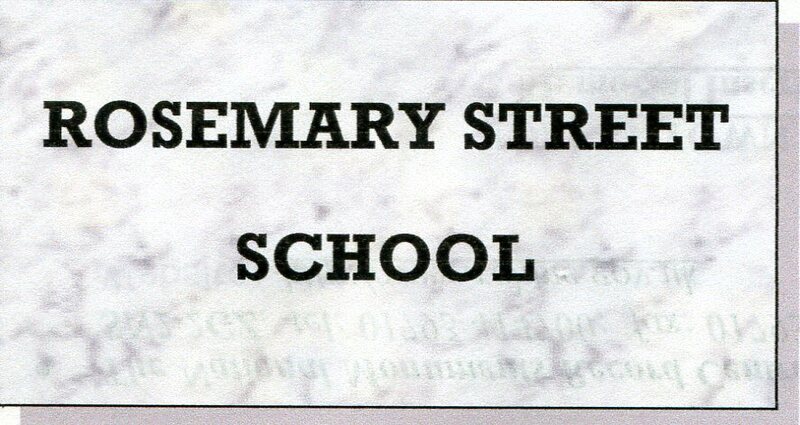 Did you go to Rosemary Infants Steff I was there from 1952 to 1954. The grocers and green grocers shop on Rosemary Street was my fathers Dennis Webber and grandfathers before him, ‘AE Webber and sons’. It was the first off licence in Mansfield. Compulosry purchased by the council when they were redeveloping the town centre. Mr Todd the dentist was next door and I think it was Hardys Furniture Shop the other side. Re main article, the cobblers name was Copley not Mr Checkley. No it wasn’t Duncan, I don’t know the name of the couple that kept that shop and I was born just round the corner from it, Mr.Coupes was on Rosemary Street, as you went down Rosemary Street towards Stockwell Gate just after Union Street there was a second hand car sales then Mr.Coupes bike shop and then Lawn Mills Factory. Was Mr. Cowpes bike shop the little wooden shed at the bottom of Ladybrook Lane? It stood on the grass verge. Always called in there for a quick puncture repair. Hello Tom, I can’t find a David in my dads family, he could have been one of my grandfathers brothers or cousins but my dad never mentioned anyone in the family doing that type of work. My dad was born in 1907 so David could have been around when he was young but David isn’t a name he ever mentioned in relation to the Bowler family, sorry I can’t be more help. Hello Tom, Mr.Coupes bike shop was a very good shop for the time so much stock a bit of a jumble though, makes you wonder how he knew where things were, but he did. 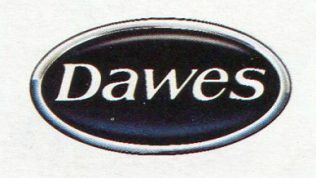 My first grown up bike was from there in about 1959 a Dawes Dalesman, if I remember rightly it had a brooks B17 saddle, I’ve also had bikes with Brooks Colt and Brooks Professional saddles do you remember them? Very comfortable once you had bedded them in or perhaps it was your backside that just got used to a hard saddle. I don’t know if it’s common knowledge but Mr.Coupe was a very good organist he played at the same chapel my grandmother attended but she said his singing was nowhere as good as his playing, according to her his voice was very high pitched and out of tune. Hi Peter, Not the same subject but we are currently working as Volunteer Assistant Curators in the Heritage Link, Woodhouse Library and are transcribing articles from the Archives, we have a David Bowler article who was a Monumental Stonemason’s notes detailing inscriptions from 1890s to early 1900s and the location of the Cemetaries. Is David in your line? I remember Freddy Cowpes bike shop on Rosemary Street in the mid 50s, he wore a leather apron, round glasses and always had a dew drop on the end of his nose!! I remember purchasing a Mansfield cut away racing saddle which was popular at the time replacing my Brooks B17 saddle. In the 50s there was about 5 bike shops in the Town!! I was a paperboy for Mr Caulton on Rosemary Street, I used to leave my bag with the papers at the end of Layton Avenue as l had to deliver one newspaper to the first house down Quaker Lane. l used to leave it in the outside toilet, then walk back to Layton Avenue to deliver the rest of the papers. I thought at the end of Layton Avenue it was Blackburn Assurance but if you say it was Britannia l may be wrong. My uncle had a car repair business down Ruth Street in the 1960s, and l used to play football on the street with the other kids. Hello Peter and Carol. The lady at the bakers you refer to sounds very much like the former Mary Knight, a fellow pupil with my mother at High Oakham School in the 30s. I remember going to collect a birthday cake from there and being warned to remember that Mary was quite deaf. With regard to the Coronation propelling pencils, mine, which I received at Broomhill School along with the New Testament, also fell by the wayside, possibly because it stopped working. The NT also disappeared somewhere sometime. At my young age I hadn’t the foresight to realise that such items would be quite valuable now. As would my Dinky toys and Hornby rail layout. Hello Peter, Thank you for the name of Miss Ford, couldn’t think of it for the life of me, but as soon as I read your reply it was obvious to me. My propelling pencil has long gone too, but I do still have the New Testament that we were all presented with. Hello again Carol, I don’t remember the pageant but I must have been there at the time as I started Rosemary Infants in 1952 and also don’t recall the two teachers you mentioned, the only teacher I can remember is Miss Gammonds, she taught me and I rather think Miss Ford was the headmistress. As for the coronation in 53 my mother was in hospital for a major operation so my mind must have been on that more than school, but it was successful, she lived well into the 1980s. Two things I remember about the coronation are all children at school were given a red white and blue propelling pencil with a gold crown on the top and my mother along with everyone else in hospital at the time of the coronation were given a half pint beer mug with the royal coat of arms printed on it full of chocolates. I don’t have the pencil now thats long gone but I still have the beer mug. Yes I went to Rosemary Infants and then on to Broomhill Junior, and eventually to Sherwood Hall Girls, where we the first intake into the new school. Vardys was on the corner of Chaucer Street and Rosemary Street, the opposite corner to the hairdressers. If it was more than a pet shop I am not sure, I only remember my Dad taking me to get some food for my rabbit when I was about 4 or 5 years old. I seem to remember caged budgies or canaries inside, but that could be a misconception over time. Can you remember the name of the Headteacher at the infants?, I can only remember Mrs. Baggaley and Mrs. Cocking who were both my teachers at one time. Were you there for the Coronation Pageant in June 1953?, I have a photo of my class dressed as flowers to represent “Mary Mary quite contrary”. We paraded through the town and ended up at Field Mill Ground where other schools met up together. Hello again Carol, you’re about my age then. I was born August 1947. 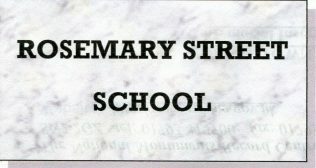 Did you go to Rosemary Infants and Seniors? I can’t recall the pet shop, where was that in relation to Webbers? As far as I can remember Todd’s was next to Dennis Webber’s. I was born early 1946, so my memories start from about 1948 onwards, but mostly from the early 50’s . After having sent the earlier posting I remembered the name of the pet shop as Vardys, but I stand to be corrected on that. Hello Carol, you must be a bit older than me I’m remembering the shops from about the mid 50s and I’m glad you mentioned Webbers, I remember the shop very well but couldn’t remember the name. It was next to Todds dentists wasn’t it? I too grew up in this area on Chaucer Street, and remember the lovely local shops that we had at the bottom of the street. When I was small (late1940’s) I believe the shop at the corner of our street and Rosemary Street was a kind of pet shop, and on the opposite corner was Maries’ hairdresser. We also had Farrands haberdashery, Mr. Copleys hardware shop, Baggaley’s Fish and Chip shop, Mrs. Rudlands grocers, the bakers were Mr. & Mrs. Brewster, Mrs. Smedleys dress shop was next (we could do with a shop like that now!!!). Then there was Bull’s plumbers on the corner of Goldsmith Street, on the other corner was Wheeldons newsagent, the Broomheads took over when the Wheeldons retired. Mr Kiddy’s shop, then Webbers shop was divided into two, one was a green grocers, and the other half was an off-licence come deli type shop. How things have changed! In those days Mansfield had a good choice of shops, and you knew which retailer would have the kind of thing you wanted. Nowadays we seem to have only chain stores that sell the same thing, just repacked in their own livery. Perhaps it is true that as you get older your childhood memories get better, but I would love to have the old Mansfield back, if only so that the younger generation who have never really known the delights of the smaller independent shops could find out what they have missed out on! Peter, thank you for the wonderful memories. We used to live on Union Street. The newsagent on the bottom of Goldsmith Street was called Broomhead’s, my brother used to do a paper round for them in the 60’s. I remember several of the shops you mention, especially B (Barry) Jepsons hardware / DIY. I used to love going in there with my dad and looking at their array of tools and gadgets. Of course Jepsons, along with all the other shops (including the grocers you mention, which used to employ our then next door neighbour, Ann Lewis) were demolished when Rosemary St was widened in the early 80’s (?). Jepsons relocated further along Rosemary Street to a premises which later became a video shop and is now a hair supplies store. I can also remember Carlton’s newsagents between St John Street and Wood Street, ‘old man’ Carlton used to sell we kids a single cigarette and a match for a penny, which we used to smoke thinking we were grown up – I can’t have been much older than 10 at the time! I also have very happy memories of walking along Rosemary Street to the fair, which used to be held on Chesterfield Road on the site where Tesco is located today, with a sixpence in my handkerchief on my quest to win a goldfish. Sadly I was unsuccessful but managed to get one from the rag and bone man a few weeks later. Now those were the days! Yes I remember the penny loafs, I bought quiet a few. I’m pleased someone beside me remembers old Mr Cowpes bike shop, it was a magical place. Pitty there are not any shops like that now. You have a wonderful recollection there, Peter. I remember going to the Methodist Sunday school and spending 2d of my 3d “collection money” on Black Jacks, Fruit Salads and licorice sticks. I was on the panel of Dr Lauder …a wonderful man! and my mother used to work at the Brittanic Insurance shop. I remember the deaf bakers shop and having to mouth very carefully the order to the wife, they made wonderful iced cream buns !! Further down towards Rosemary School, I used to get the weekly meat order from Blythes the Butcher, a joint, sausages, liver and chops for about 18 shillings and sixpence !! My mother was born in my Great Grandmother’s sweet shop which afterwards became Nuttalls Light shop. And finally…..my confession, Old man Cowpe’s Bicycle shop was, as you say, a treasure house. The items were piled up either side of the passageway on wooden racks and there were bicycles and parts strung up all over the walls. The trick was to get him to look for something in an obscure place or a high shelf and then you could fill your pockets with batteries, brake blocks, wheel spokes or other “useful” stuff !! Wonderful memories…….thanks for sharing them.